Kubota UK’s market leading B Series is proving to be a key player for Melksham Town FC after the Wiltshire club secured promotion to the highest league the team has ever played in – the Evo-Stik Southern League. The club recently completed its first full season at its new £7.3m Oakfields facility, one of the best sporting facilities in the South West of England, following a grant from the Premier League and FA Facilities Fund. Helping to keep the 16 pitches in perfect condition all year round is Kubota’s B3150, supplied by local independent Kubota groundcare machinery dealer Lister Wilder. Melksham Town FC’s Chairman Darren Perrin said: “Oakfields is a fantastic facility, one which the players, our supporters and everyone involved at the club is immensely proud of. To ensure the club continues to be a centre of excellence in the South West, it’s absolutely vital we utilise the best groundcare equipment on the market. With three senior men’s sides, a women’s team and 44 youth teams, Melksham Town has over 500 registered players of all ages. The pitches are therefore put through their paces over the course of a season so it’s a busy job for head groundsman Paul Brinkley and his volunteer grounds maintenance team. “Being able to utilise our Kubota enables us to keep on top of everything and complete our jobs to the highest standards,” said Paul Brinkley. “It’s a vital bit of kit for us. We need machines that make our lives easier and won’t let us down and the Kubota does that, ticking all the right boxes in terms of performance and reliability. Testament to the work of the Melksham Town FC grounds team and the quality of the playing surfaces at Oakfields is the fact that professional clubs like Swindon Town FC and Bristol Rovers now use the facilities at the club on a regular basis. The ground is also used by the Wiltshire FA to host important cup competitions. Paul continued: “With the previous compact tractor we used, it could take over an hour and a half to cut a pitch. With the Kubota B3150, it only takes 40 minutes and is a better cut! The Kubota B3150 tractor is part of the Kubota’s popular B50 Series range, which was superceded earlier this year by the machinery manufacturer with the introduction of its premium B2 Series. The B2 Series builds on from the industry leading B50 Series, with four models ranging from 20-31kw. 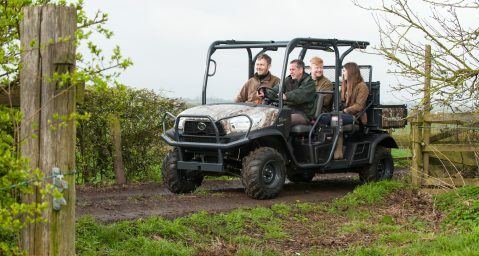 The B2 Series boasts a wide range of features, including Kubota’s unique Bi-speed turn. This enables operators to achieve a significantly reduced turning radius for increased maneuverability in tighter spaces. 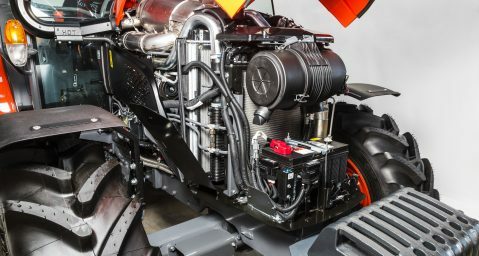 Three of the models feature Kubota’s renowned 3-cylinder diesel engine, whilst the 31hp model is powered by Kubota’s powerful 4-cylinder diesel engine. Kubota, a market leader in the manufacturer of high performance agricultural solutions, has introduced Kubota Farm Solutions (KFS). 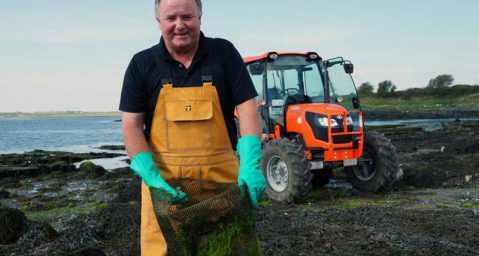 On the shores of County Clare, Feargal grows and harvests some of the finest oysters in Ireland.